Enter to Win Three Days Grace Tickets & a Night Stay in Minot - Word on the street with Visit Minot!Word on the street with Visit Minot! Three Days Grace has established itself as a rock act to be reckoned with, selling more than 6 million records in the U.S., including one gold and two platinum albums, and releasing four gold singles, “I Hate (Everything About You),” “Animal I Have Become,” “Pain” and “Never Too Late.”. Three Days Grace is made up of band members Neil Sanderson (drums, piano, backing vocals), Brad Walst (bass guitar), and Barry Stock (lead guitar) from Ontario Canada. 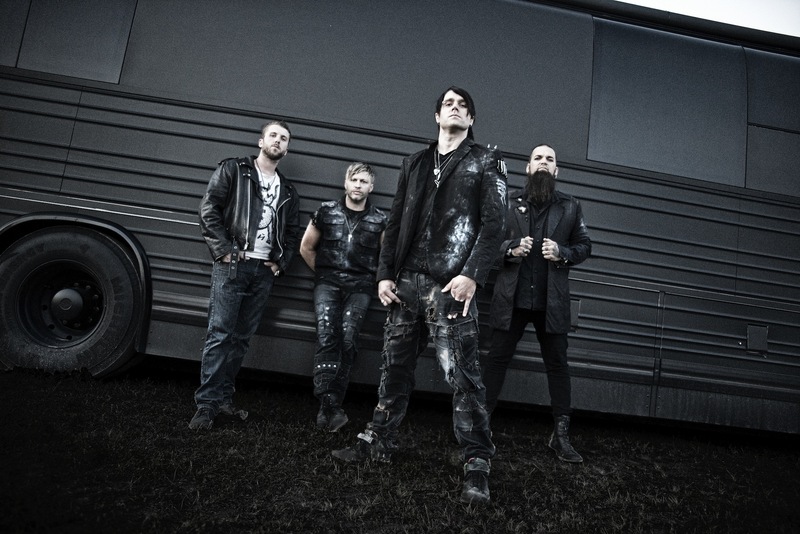 With Three Days Grace’s alternative metal and hard rock style, they are sure to rock the Grandstand at the North Dakota State Fair on Friday, July 25 and lucky for you, we’ve got two pairs of tickets to giveaway! ! In addition to giving away the tickets, two winners will also receive a free night stay at the beautiful Grand Hotel for that evening! For a chance to win tickets and a night at the Grand Hotel, leave a comment below letting us know who you’d take with you to Minot to see Three Days Grace at the NDSF! Winners will be selected and notified (via email) on Friday, July 18th. UPDATE: Congrats to our blog winners Justin and Brandon. I would take my daughter Taylor!!! I’ll take my newly graduated son, Cooper. I would take my Hubby! It’s our Anniversary and Three Days Grace would be the ultimate celebration! but of course I would take my husband…..It would be a great way to celebrate 18 years together ! I would take my bf, we haven’t been on a date night in over a year, we need a spark! I would take my boyfriend. I lived in Minot and left there in 1987 and came back to Canada, been married divorced 2 girls and 10 years later I found my soulmate. I still go to Minot every year and stay at the Grand Hotel, we have stayed there at least once a year sometimes 5 times a year since 87. This would be the best treat EVER!!!! How much we try, it’s like the weight of the world on us. I would take the love of my life, my Husband. We have both lost a parent in the last 5 months and could really use some time together to regroup and just take the time to enjoy life for a change. Any time together is special. I would take my sister it would be so much fun to have a girls getaway! I really realy love to come!,it will be thwe best gift for my family !None of us been there before so it will be unforgetable experience for my family! “Enter to Win Three Days Grace Tickets & a Night Stay in Minot” If I won the Night Stay and Three Days Grace Tickets, I would take my fiance. I would actually send my husband and son! They need a good father son night! I would take my husband on a surprise date. How fun! I would take my roommate whom payed my whole way to move out here to Minot from California to better myself and my children.. Please it would be good to show him my appreciation for all he has done.. I would take my wife we recently got married and found out she has cancer so this would be a great little vacation for us!!! I would take my boyfriend. We have been to one of their concerts before and we both loved it so would definitely go again. They put on a great show. I would take my husband and give him a break from all the haying he has been doing. I would take my main squeeze! Would love to take my Girlfriend to this. I would take my hubby – Three Days Grace is his FAVOURITE band – it would be for him, not me. I would take my boyfriend who really needs a nite out. I would take my lovely girlfriend! We could use a night away from the stress and daily grind! I would go with my hubby. Can’t say we have ever gone anywhere together other than Winnipeg lol so this would be nice. I would take my bestie to celebrate our grade 12 graduation!! I would take the love of my life, my husband of 17 years! My Daughter. She is big fan. I would take my sister because we’re a force to be reckoned with when we’re together and have so much fun! I would love to be take my best friend of 4 children whose never experienced a concert yet! She would be so surprised. I would take my little sister. We don’t have much in common but have been going to concerts together for seven years and she took me to two this year. Either my hubby or a gf! I would take my bf, Damon. And considering the 18th is my birthday, that would be a GREAT bday gift!! I would take my beautiful wife to see Three Days Grace in Minot. We love this band and have never been to Minot together. It would be a great vacation! I would definitely take my cousin-friend we love these guys!! I’d take the girl I like. It would be a great first date. I would take my husband that is arriving from Germany that day!! I would take my mom, she is a big fan of three days grace and she is always going to Minot with my aunt in the weekends. My husband for our ten year anniversary. It is his favourite band. I would take my husband for our ten year anniversary. My favourite band! Either my boyfriend or best friend! Hi there, I would love for an opportunity to come to Minot with my wonderful fiancé Melissa. I would take my bestfriend Melissa ‘ we always go to concerts together ! !